In their ongoing battle against the musical phenomenon that is the ‘narco-corrido’, Mexican authorities have imposed a fine of 100,000 pesos ($ 8,000) on concert promoters in the northern city of Chihuahua. Narco corridos are essentially drug ballads that tell tales of drug dealing, drug wars, and the outlaw world of drug gangs. They evolved out of the ‘corrido’ folk tradition of Mexico, and often tell cryptically of real life people, places and events, effectively chronicling the Mexican underworld and all the criminality and violence within it. The fine was imposed on concert organisers after a performance by “ El Komander," (real name Alfred Rios) who is one of the best known singers of the "Altered Movement". Chihuahua has been ravaged by drug violence in recent years, with it’s position near the border putting it in the front line of the illicit trade into the United States. 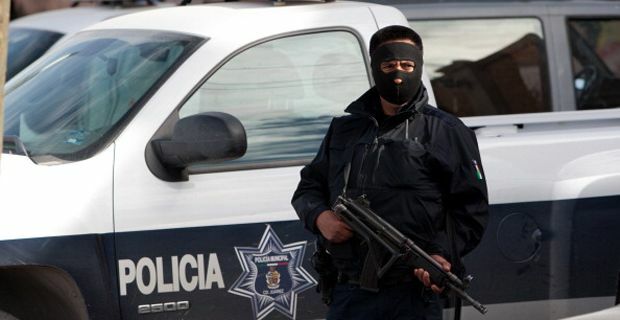 Desperately looking for ways to lower the body count and change the culture of the gangs, authorities began a campaign against the narco corridos three years ago. The feeling is that they glorify drug smuggling and murder in a superficially similar way to gangster rap, though the narco corridos are far more rooted in actual events and are seen as part of the cultural fabric of Mexican life, however distasteful some of the content. Torres said the money will be used to buy computers for community centres. "In an atmosphere of violence, it's not right to have people glamorising crime," he said. "That feeds this type of culture, above all among young people around high school age, who see these references to crime and think they're attractive. What we are doing is protecting society, protecting our citizens and our youth. Crime prevention is fundamental, and that can't be done with more gunfire."